Greenville, SC has so many fun things to do around town. From nightlife for the adults to a fun park for the family, residents and visitors are sure to find an exciting activity in the area. 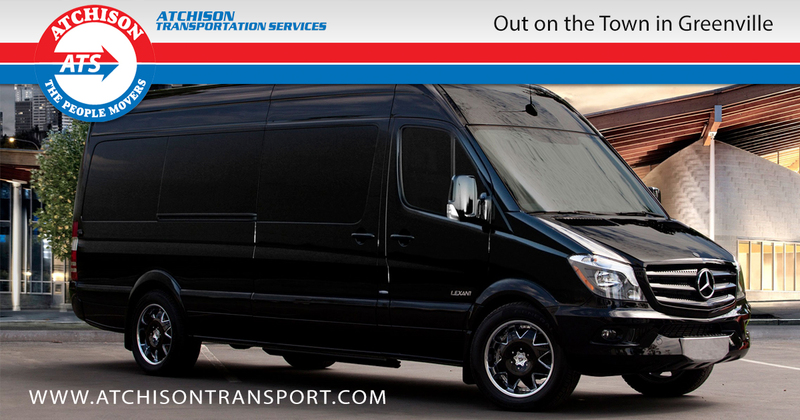 When it comes to the transportation needs for your activities around town, our team at Atchison Transportation Services has you covered! For those adults that plan to have some drinks while out on the town, no one in your party should be driving. The easy option is for you to contact Atchison Transportation Services and one of our professional drivers will pick you and your friends up in one of our sedans or SUV’s. Celebrating an anniversary? Planning a party for your significant other? Travel around Greenville, SC in style to make the occasion a little more exciting. Our chauffeur service will make your time out on the town extra special. You wedding is a big event and so is your bachelor/bachelorette party. At Atchison Transportation Services, we’ll arrive on time and will ensure that you and your friends are riding in style for a night on the town in one of our luxury limousines! Are you planning an event to bring a large group of people to a place like the Greenville Drive Family? Our shuttle buses are the perfect transportation option for this type of adventure. Renting a shuttle bus from Atchison Transportation Services will allow you to accommodate up to 20 passengers. Additionally, our shuttle buses are wheelchair accessible if needed. If you are looking for a reliable, affordable and experienced team to take care of your transportation needs as you head out on the town in Greenville, SC, there is no better choice than Atchison Transportation Services. Offering free quotes on any of our transportation options, give us a call today at 1-800-346-7129 and let us help you plan your next adventure around town in style. Previous PostPrevious Wedding Season Is Upon Us! Book Your Wedding Transportation Today!